BloodFist is one 0f those films form the late 80's that fed the craze for Martial arts action on the big screen. After the success of the likes of BlooodSport with Jean Claude Van Damme ,producers from all over where looking for new talent to showcase martial arts in film. Roger Corman had read and seen footage of Don'The Dragon'Wilson who at the time was a world class Kickboxing Champion at many weights and had proven time and time again his power in the ring. With Don having fought many opponents and been victorious ,the next step for him was film (Chuck Norris did it and secured himself stardom for years). BLOODFIST centres around a retired Kickboxer named Jake(Don Wilson) .He runs a kick boxing club with his partner Hal. When Jake receives a call from Manilla about his brother Michael (He's just been found dead in a alley ) Jake is asked to go and pick up his remains (Great is it not, Jake arrives and they have already cremated him). Here's your brother (Handing Jake a Jar) says the detective, looks like he was in the wrong place at the wrong time. Jake is none to certain ,he is determined to find out the truth ,from a clue in his brothers remains . Michael was in Manilla to fight Kickboxing,Jake is going to find out what went wrong and why he had to die for it.. Following his lead ( a Piece of cloth with Markings) he is pointed in to the direction of a training camp for fighters that take part in a tournament called The Red Fist Tournament ( a kind of open Kumite). Not being very discreet Jake is spotted spying and his attacked by many guards of the underground fighting club. 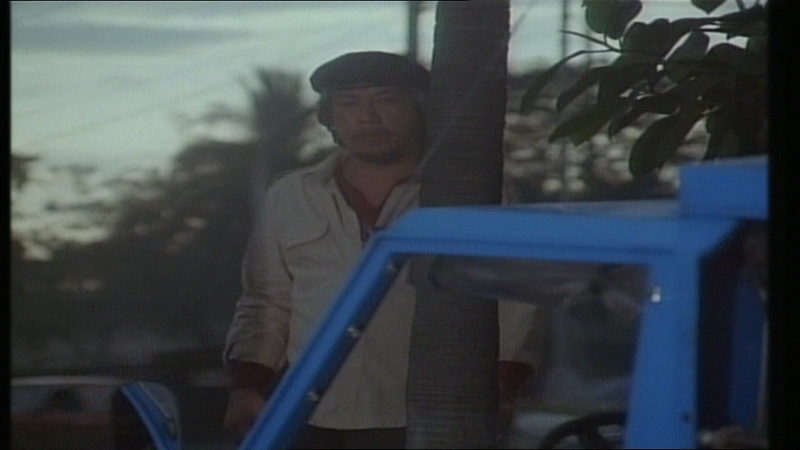 After escaping Jake returns to pick up his belongings he left behind ,only to find them gone and then he is approached by a stern man named Kwong who has his bag. Jake explains his reasons and Kwong gives Jake a insight to the tournament and how he may find his brothers killer (yeah he's gotta Fight) , With assistance from Kwong Jake finds out more about the fights and in the process meets Baby a fellow American and Loud mouth extrovert who though harmless tends to get in to trouble through his gambling problems. This is also where Jake meets Baby's sister Nancy ( the love interest in the film). Now Jake is living with Baby after he agreed after helping Baby out.Baby's sister Nancy is not to enamoured with Jake at first but of course this will change as Jake undertakes a regime of training under Kwong so he may enter the tournament and find his brothers killer . ( Only certain individuals may enter fighters ,Kwong being one of them) . 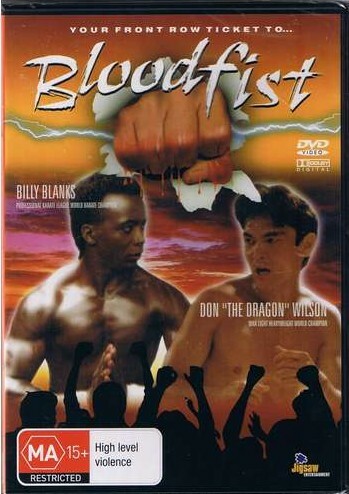 The story of BloodFist owes more to Kickboxer ,Karate Kid then it's nemesis BloodSport.As Kwong trains Jake he enters the preliminaries fighting the lower rank fighters he comes up against tougher opponents like Rob Kamen and Billy Blanks .His Goal to get to the final and challenge the most feared Fighter Chin Woo ( A Bolo Clone if ever there was one) who has a habit of killing his adversaries. As Jake Trains and competes he realizes that maybe it's in the best interests of Kwong that he does not find his brothers killer. As he would not need to fight any more. But as clues turn up and Hal (Jakes Partner from the States ) arrives for moral support (actually the debt collectors are foreclosing on the Gym). What makes matters worse is Baby's annihilation after fighting Chin Woo ( he lay in Hospital in a coma) His Young girl friend a Filipino girl crying at his side. Now Hal Recognizes Kwong but can not place him ,it's here you realize there's more to Kwong then meets the eye ,even though at the back of your head you new all along. So the real fight will not be fought in the ring but outside. But not before Jake gets arrested and thrown in Jail ,Kwong arrives to help and makes a plan for him to escape so he can fight ( you know it's a set up). On the way to the fight Jake munches on a Mango Kwong gave him ,entering the ring Jake starts to dominate the fight then all of a sudden he comes over all weird and starts to take a beating to a point where Nancy and Hal are worried for his life .Hal shouts to Jake that Kwong has bet against him as he lay on the mat .In a burst of energy Jake stands up and delivers resounding blows to win the fight ,but not before Baby’s Girlfriend tries to shoot him. 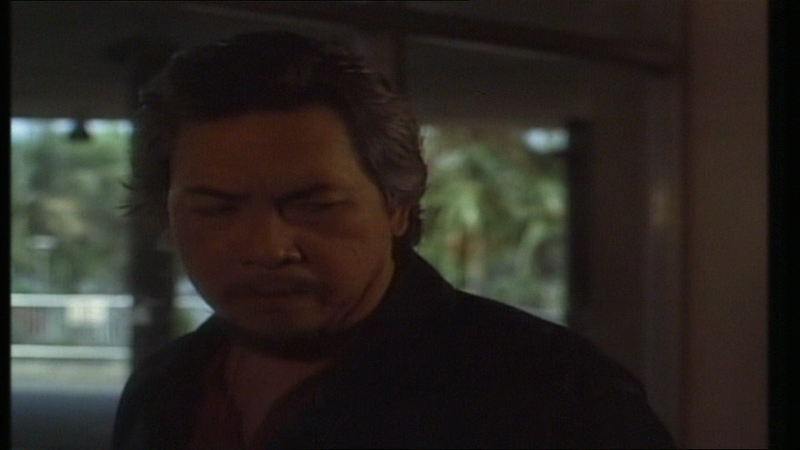 In the end Jake will confront Kwong to find out the truth and maybe his brother can rest in peace. Overall BloodFist is a good view ,now yes maybe the acting on some part is a bit off .But good performances from Joe Mari Avellana (Kwong) ,Michael Shaner shine through ,Don done OK in the acting department considering he was just starting out. Billy Blanks and Rob Kamen give good performances as the heavy hitting fighters in the film. In a way I think this a more realistic film then BloodSport ,even though that film was based on a true story. 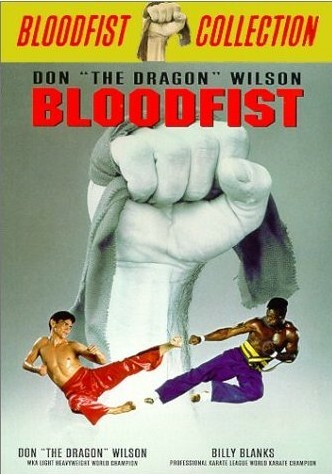 Also you have to remember that this was made in the late 80's when there where loads of these type of films coming out .BloodFist was one that got a cinema release and did well securing Don'The Dragon'Wilsons film career for sure ,and a further seven films where made in the series starring Don himself . Old Kwong Freind or Foe ,the truth will come out.